Whether your business needs a pick me up or is just getting started, these 6 HVAC marketing ideas are sure to help get the ball rolling and will have your business growing in no time! There are more than 100,000 HVAC companies scattered all across the country at the moment. Some have just a few employees, while others have thousands of them. No matter how large or small your HVAC company might be, you can make it stand out in the crowd by utilizing the right HVAC marketing ideas. Marketing your HVAC business will separate it from other HVAC businesses and help you bring in more customers on a regular basis. Do you need help generating winning HVAC marketing ideas that will help you build your brand? There are so many things you can try when it comes to HVAC marketing strategies. 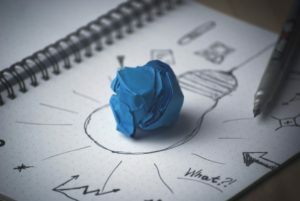 Let’s take a look at a few of the marketing ideas that will put your HVAC business over the top. When people are having trouble with the heating or cooling system in their home, one of the first things they’ll usually do is hop online to see if they can find a solution to it. They’ll type in something like, “Why is my furnace making a strange sound?”, and then read all of the blogs associated with their question. If you want to get noticed, you should go and find some of the blogs that are read most often and leave comments on them. Your comments should provide some helpful tips for people and include your contact information and your website. This will drive more traffic to your website. It will also encourage people to call or email you if they need further help with an HVAC issue. You’ll drum up more business for your HVAC company in no time. When people search for an HVAC company in your area on Google, does your business name pop up? If not, it means that you haven’t put enough emphasis on optimizing the SEO on your website. You should make that more of a priority right away so that your site starts to get more traffic. One easy way to do this is to start a blog on your website and fill it with useful content related to HVAC issues. 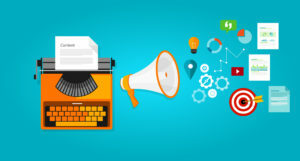 You should include keywords in your blogs that bring in more traffic than ever before. You should also use your blog to touch on issues that people are likely to search for. For instance, a blog about setting your thermostat to the right temperature in the summer will be useful to many people. If you want to see an example of what a blog like this might look like, check it out here. You’ll capture plenty of eyeballs when you write a blog like that. If you don’t have time to devote to optimizing your SEO, there are companies that can handle it for you. It’ll be well worth the investment on your part as it will create new business opportunities for your company. Does your HVAC company have social media accounts set up? If not, now is the time that you’re going to want to go ahead and set them up. Your HVAC company should have a Facebook page, a Twitter account, and an Instagram account to maximize the impact you have on social media. You can use social media to share special deals with your customers. You can also use it to show before and after photos of jobs you’ve done in the past. 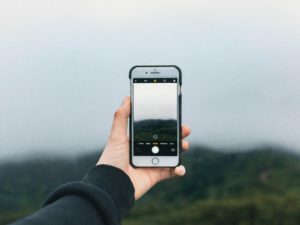 Social media should be an easy way of connecting directly with those in your community. When you have a strong social media presence, people will feel more comfortable calling on you for help when they need an HVAC problem solved. 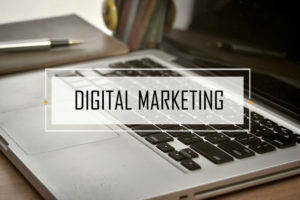 Outside of using social media to connect with customers, you should also create an email marketing campaign for your business. You should ask all of your customers for their email addresses so that you can keep in touch with them over time. While you don’t want to bombard people with daily or even weekly emails about your HVAC services, you should make it a point to email them every so often about specials you’re running. You might want to remind them to service their air conditioning systems in the spring. You might also want to let them know about the great deals you have on heating system maintenance plans in the fall. Again, you don’t want to go too crazy with your emails and send them out too frequently. But you will be pleasantly surprised by how much business a simple email can bring in when you time it right. 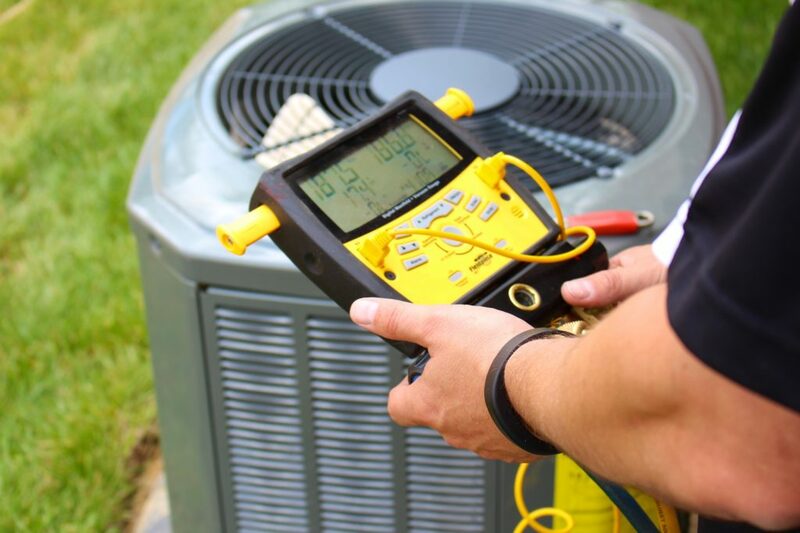 There are some HVAC problems that people can try and troubleshoot on their own. Changing a furnace filter, for example, is an easy job that just about anyone can complete. You should think about putting together simple how-to videos and posting them on YouTube. People will watch them to get tips on how to maintain their HVAC systems. People will also get to know you better by watching your videos. They’ll be more inclined to call you when they have a problem that requires professional help. You can implement all the HVAC marketing ideas in the world. But if you don’t have solid reviews from your customers, people aren’t going to come to you for their HVAC problems. Studies have shown that most people really trust online reviews. Therefore, you should make an effort to ask your customers to leave reviews if they’re satisfied with the services you provide for them. Whether they leave reviews on your website or your Facebook page, positive reviews will go a long way towards setting your business apart from the pack. These are just a few of the HVAC marketing ideas you can use to increase your company’s profits and bring in more customers. Thanks to the internet, it’s never been easier to market an HVAC business successfully. It doesn’t matter if you have a small business with one employee or a big business with 500 of them. Marketing your HVAC company is important and should be done consistently if you want to stay ahead of your competition. Read our blog to learn about other marketing strategies you can begin using today.